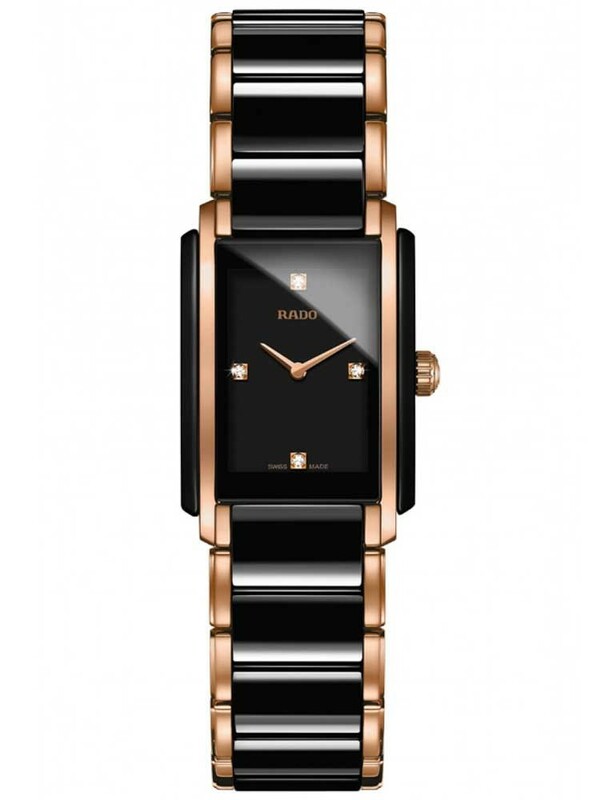 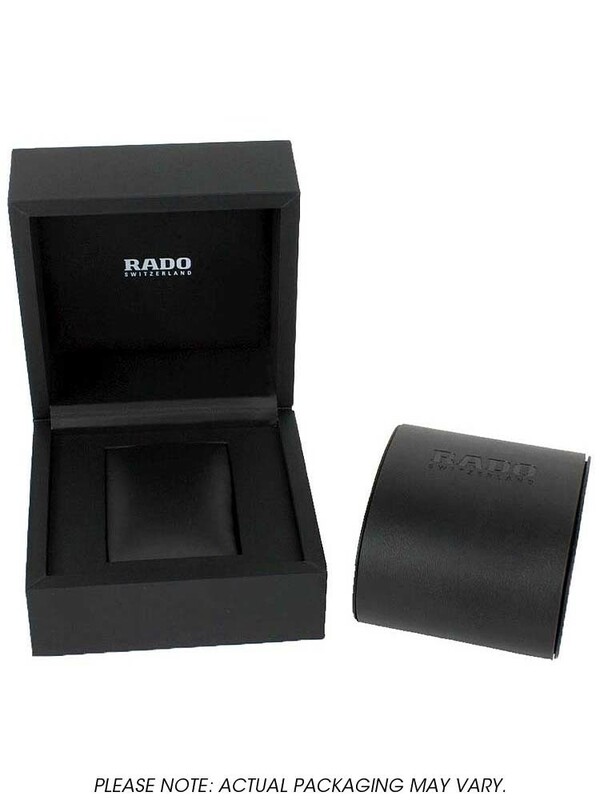 Demonstrating Rado's impeccable craftsmanship, is this contemporary ladies wristwatch crafted from a combination of stainless steel and high-tech ceramic. 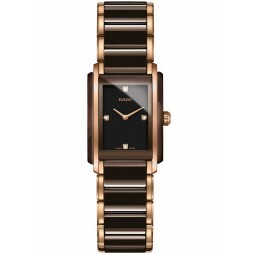 Its lightweight design makes for a comfortable fit whilst uncompromising style and sophistication. Its minimalist black dial boasts four diamond set hour markers accentuated by rose gold tone detailing.